When you’re preparing to upgrade your ride near Saline, one of the first questions you’ll have to answer is: “Should I lease or finance my next car?” In all cases, the answer will depend primarily on your financial situation, your needs as a driver, and your long-term goals. To make the process a little easier, we’ve broken down the main practical considerations for drivers wondering whether leasing or financing is right for them. Find out what you’re giving up, and what you’re gaining, when you decide to go one way or the other! If you have a good credit score, and your debt-to-income ratio is not overbalanced, then you probably won’t have any trouble securing a fair auto loan when you make your purchase. In these cases, choosing to finance your car may be the smarter option. Although many places offer auto loans for drivers with poor credit, leasing is usually the more accessible option for drivers who aren’t in a great financial situation. Even so, and depending on your situation, you may be better off purchasing a used model priced under 10K. There are a wide variety of benefits that come along with complete ownership. As is the case with real estate, the payments you make when you purchase a vehicle will help you build real wealth: you’ll eventually pay off the loan, and you’ll be able to trade in the vehicle for cash when you’re done using it. This means that for most drivers, financing is often the smarter decision in the long run. Of course, you shouldn’t just consider your long-term financial goals when you’re making a decision. If you plan on vacationing with your car, or have to make a long commute each day, financing may be a better option because there are no mileage limits involved. Drivers who own their vehicle will also have more freedom to consider upgrades, accessories, and parts of their own choosing, so they can build a customized car more easily. This is true whether you decide to buy new or buy used. Just because leasing is the more accessible option doesn’t mean that there aren’t concrete benefits that come along with taking this path. Just for starters, drivers who lease often find it easier to access next-generation features more quickly. Drivers who purchase their vehicle may stay behind the wheel of the same car for years and years on end, while those who lease have the opportunity to trade up every time their lease contract expires. The savings that come along with leasing are no less significant. With leasing, you’ll only pay for the depreciation which the vehicle undergoes during the time that it’s under contract. This translates directly to lower monthly payments and a smaller sales tax bill. What’s more, since most leased vehicles will remain under warranty during the entire time that they’re in your possession, you’ll save plenty on necessary service and repairs. Now that you’ve familiarized yourself with the factors that drivers consider when deciding whether to lease or buy a car, we’re sure that you’ll be eager to make a decision. Your call should ultimately be based on your financial situation and your own personal needs, but you shouldn’t decide one way or the other until you’ve had the chance to check out all of our Ann Arbor Kia lease deals, new vehicle specials, and pre-owned vehicle offers! 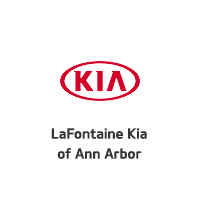 If you have any questions, contact LaFontaine Kia of Ann Arbor near Dexter to learn more about your options. 0 comment(s) so far on Leasing vs. Financing: What Makes Sense for You?